New By Dollhouse Linens and More.......Springtime Nursery by Wilson. I gave this nursery some thought....I myself was born in the Spring month of April. After careful use of fabrics and colors that would suit an infant boy I came up with this project. 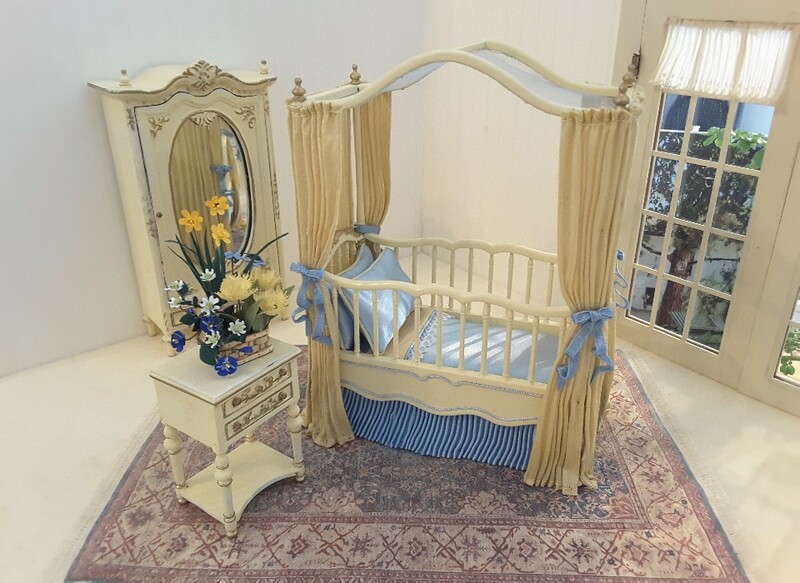 The Canopy Crib was done in yellow silk drapery partnered with blue satin and silky blue bed skirt.